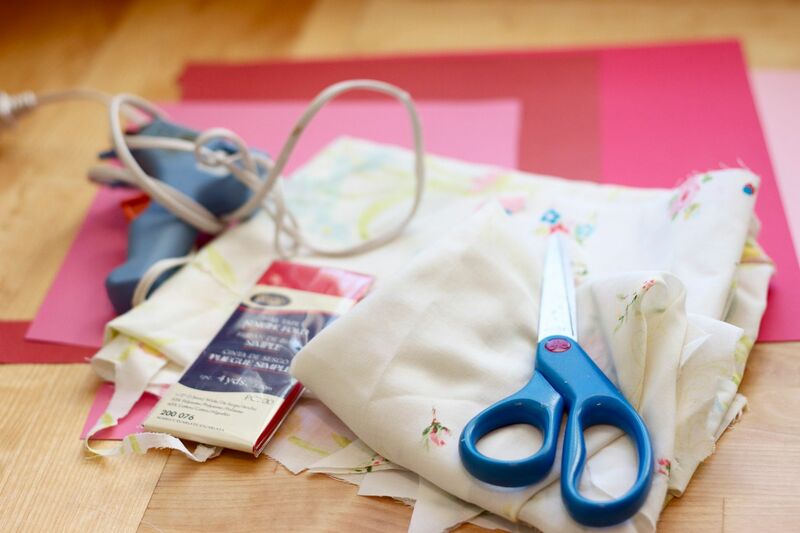 supplies: vintage sheets or fabric, bias tape, scissors, hot glue gun, scrap book paper. 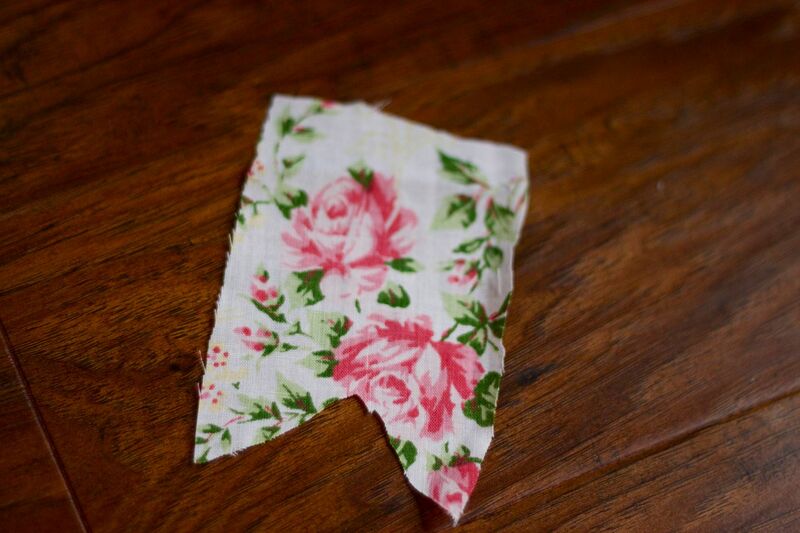 vintage sheets are little bit harder to cut because they are so thin, but i love them too much to not use them. i used a pillowcase i bought at a garage sale over the summer. 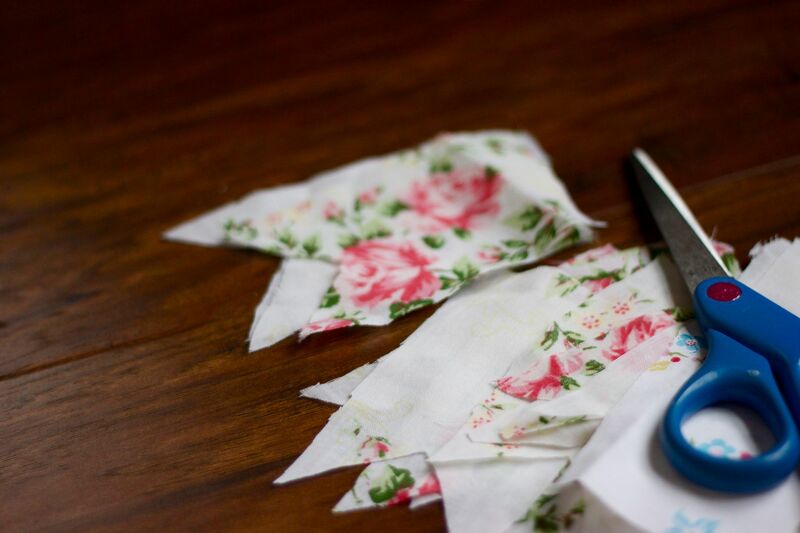 they will fray a bit, you will get a much cleaner cut with new fabric. 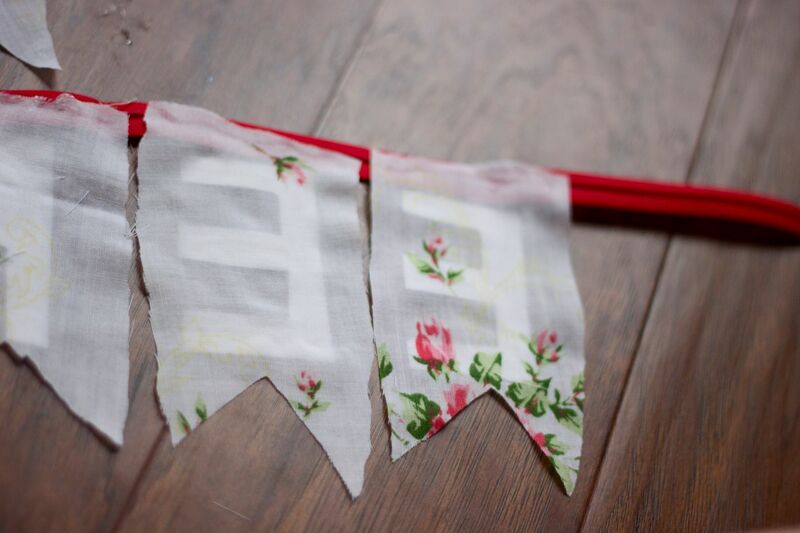 i like to use bias tape because it gives a sewn look to your banner, but you can use twine, yarn, string, etc. i cut out flag shapes, at least that is what i think they are called. 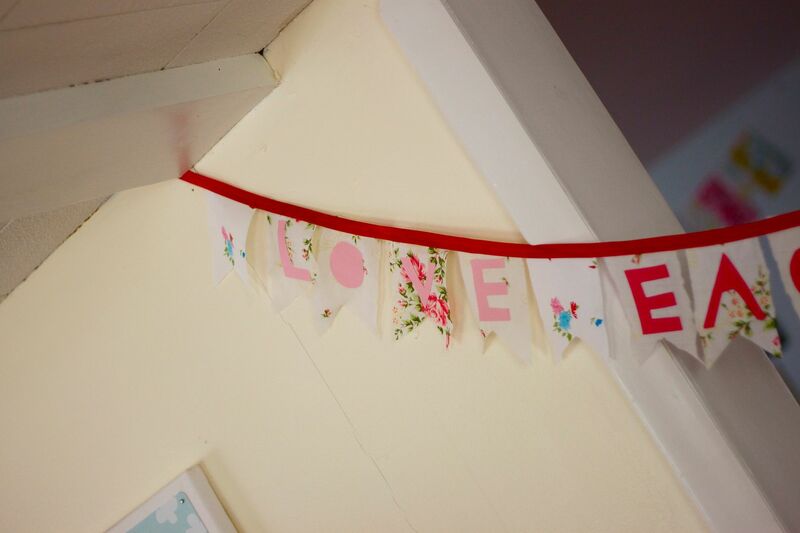 some other ideas are pennants, rectangles, circles, hearts, etc. 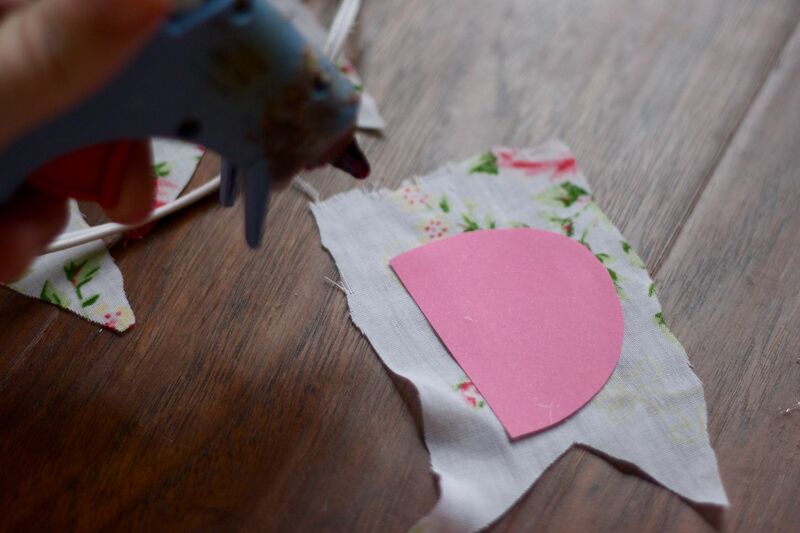 step 1: cut out the flag shaped pieces from your fabric or sheets. pile them up so you only have to cut a few times. if you are using the same part of this verse, love each other deeply, you will need 23 pieces cut. that will give you one for each letter, one for before and after the verse, and one in between each word. 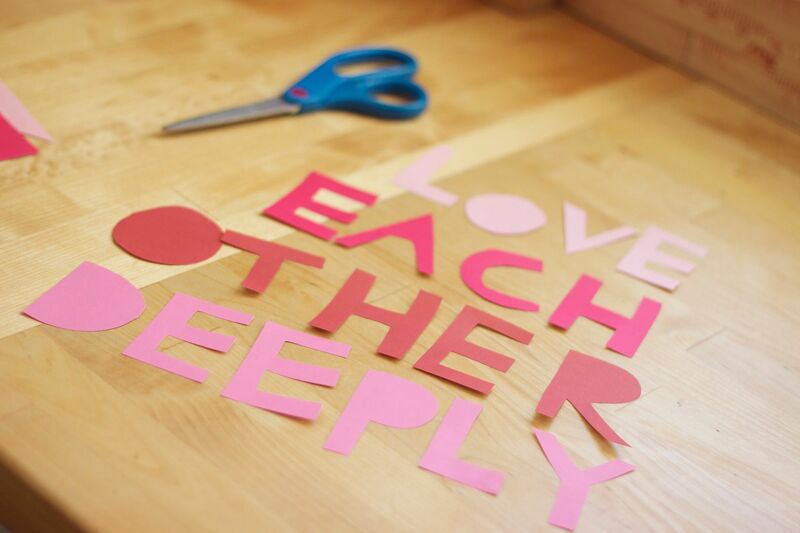 step 2: cut out your letters from scrap book paper. i did mine free hand because i like that look better. 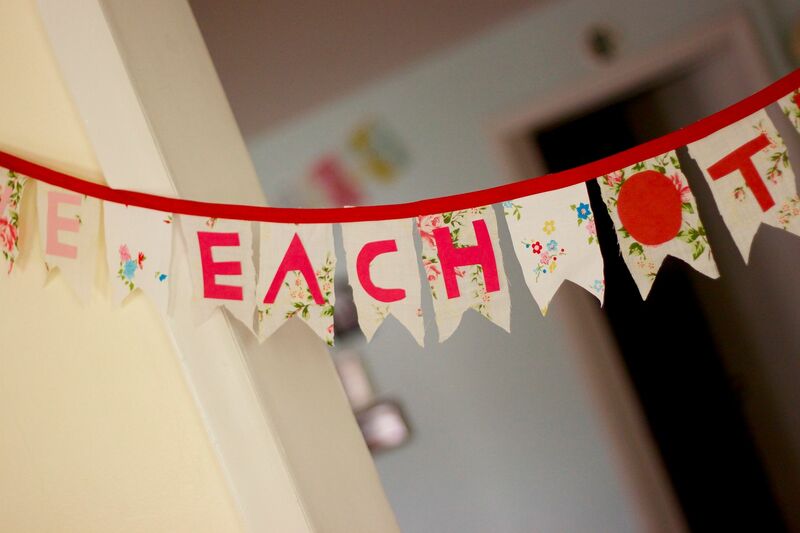 you could also use stencils or a fancy machine if you have one. 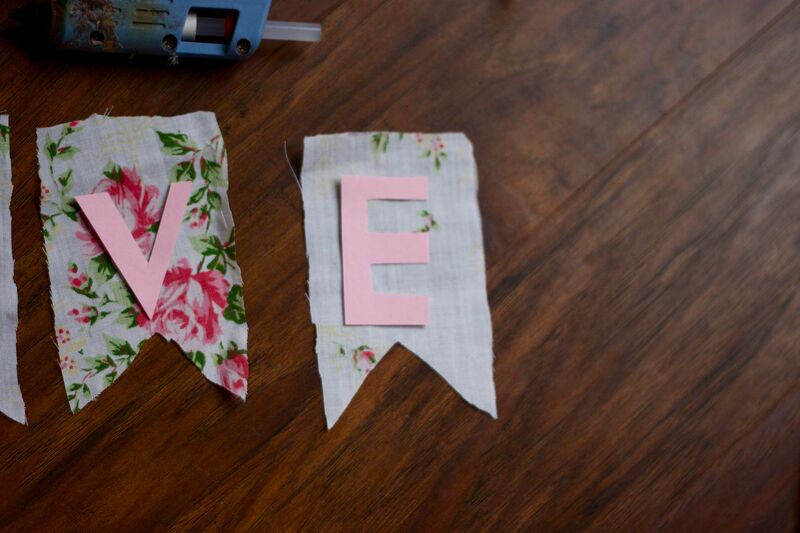 step 3: glue your letters onto your fabric. step 4: line up your words (as to make sure you glue them in the right order) and glue onto the back of your bias tape. you will simply make a line with hot glue across the top of the front of your piece, so the letter is facing you. then flip it over, and stick it onto the back of the bias tape. i waited to cut my bias tape until i was finished to make sure i had enough length. step 5: hang up and enjoy. 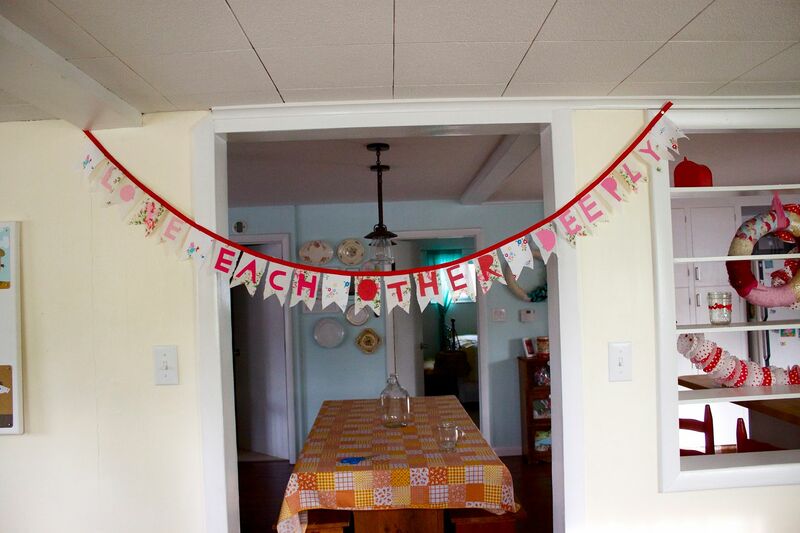 i love this banner and verse enough to keep it up year round. plus, i could use a reminder to love deeply all year long. I just love this Danielle! 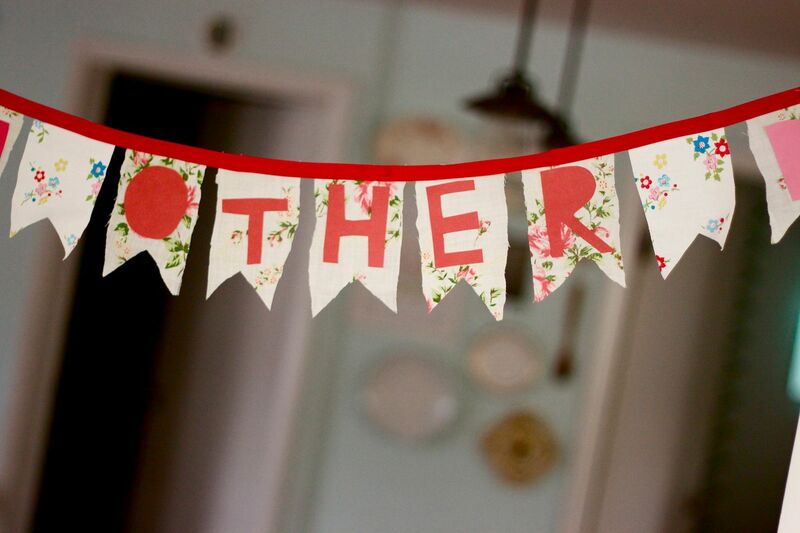 Although I think I'll use fabric letters..
um, i need to make one right now. ADORE THIS! you are so creative darling! This is absolutely precious! Your home looks wonderful. I "tagged" you in that silly blog tag game going around. Play if you want, if not no worries! i could use that same reminder. each day. I think this has to be one of my most favoritest things you've ever made. So sweet! LOVE this! beautiful colors, and wonderful verse/reminder. This is very very cool. My kind of craft I must say! i absolutely love this so much! I like that you said yours were imperfect, that is JUST my style! I might be able to pull this off, thank you danielle!!! Suuuuuuuuuuupa cute. I love it. My girls and I made this and love it! We did put the words from right to left the first time. Oops! My 10 & 12 yo girls decided to make it for 2 other families that have moved far away. Mailing it today. The funniest part is my good friend Sarah (above) and I unknowingly made this in the same evening. We had no idea until we happened to share with one another the craft we did that night!